CES is 50 years old in 2017. 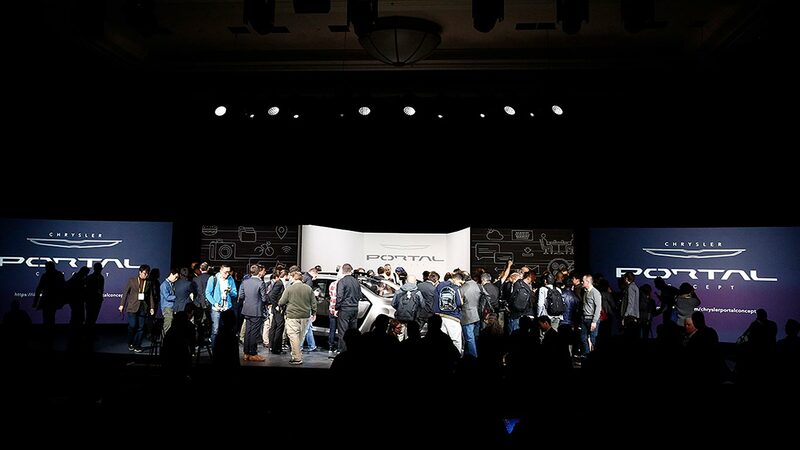 In recent years, it feels like it’s become the Car Electronics Show, as auto makers move in and take over entire halls to show off the cars of the future. 2017 is no different. Join us as we reveal the cool car tech revealed at CES 2017. Autos at CES 2017 are bigger than ever. Exhibition space is up by more than 20 percent over last year and now covers an area the size of four football pitches. Nearly 140 car tech exhibitors are showcasing products – both automakers, and the tech suppliers to them. 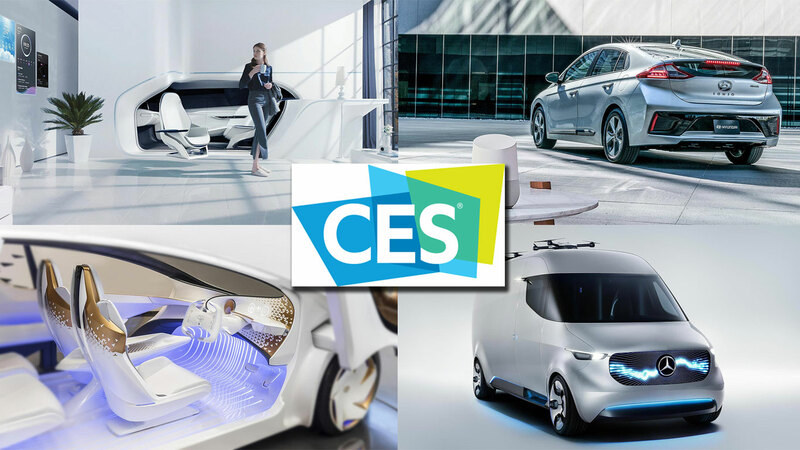 Put together the pieces at CES 2017 and you really will see the car of the future. One of the most dramatic exhibits was the launch of start-up EV company Faraday Future’s new Tesla-beating concept, the FF 91. This has apparently already claimed a world record 0-60 mph time of just 2.39 seconds, making it the fastest EV on the planet. 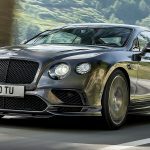 The firm also promises a 378-mile electric range. 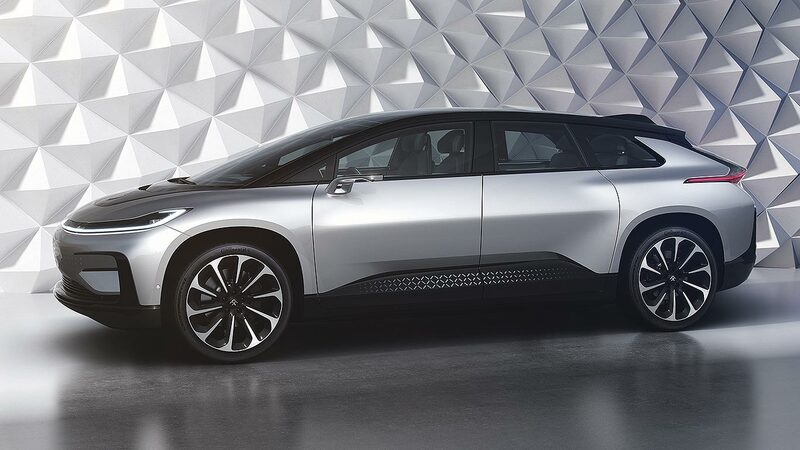 The FF 91 SUV is scheduled for release in 2019. Following an initiative started by Tesla, the firm is now accepting $5,000 deposits for early adopters keen to be first in line. Will this help ease parent firm LeEco’s financial pressures, we wonder? 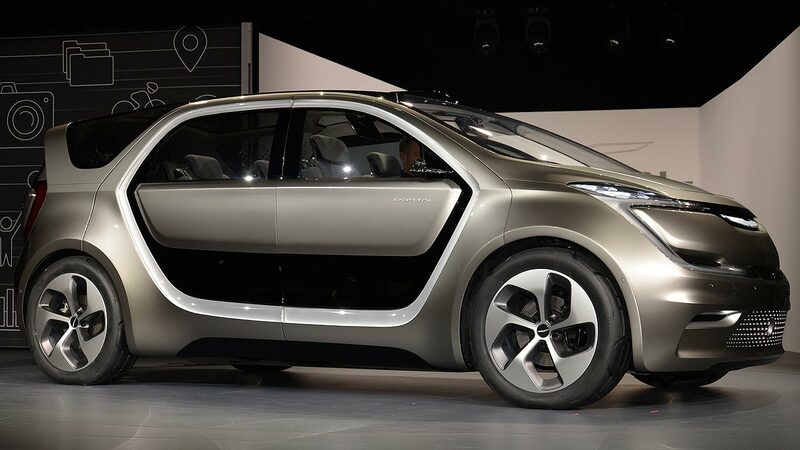 Welcome to the minivan of the future, or the ‘fifth generation’ of family transport that Chrysler says is focused on millennials. This is no car, it’s a ‘third space’, one that blends home and work. Interior space has been maximised and, naturally, it’s ready to connect with umpteen wireless devices. Chrysler says it will offer SAE Level Three semi-autonomous driving; stepping up to Level Four fully-autonomous mode will be easy. The rest of the vehicle can be upgraded too, something millennials apparently demand as their lives develop. Tech partners include Samsung and Panasonic. Fully electric, the Portal has a predicted range of more than 250 miles, and a DC Fast Charger gives 150 miles in 20 minutes. Are we looking at the next-generation Chrysler Pacifica coming some time in 2025? If so, it will be CES 2017 show-goers who’ve seen it first. 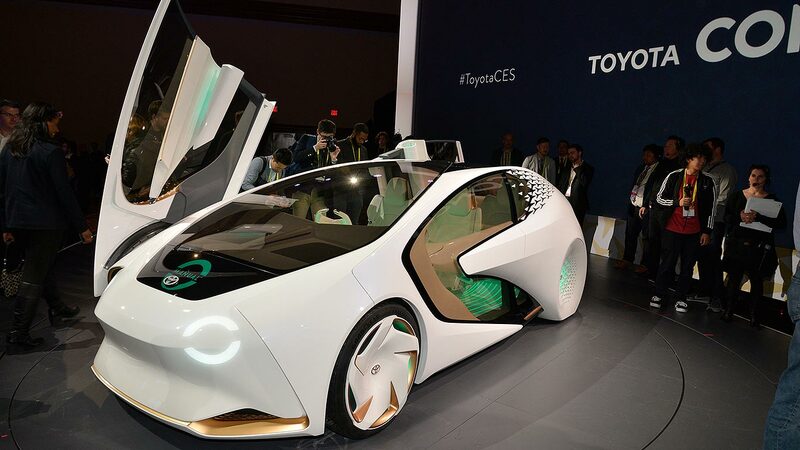 Check out this radical Toyota CES show star. 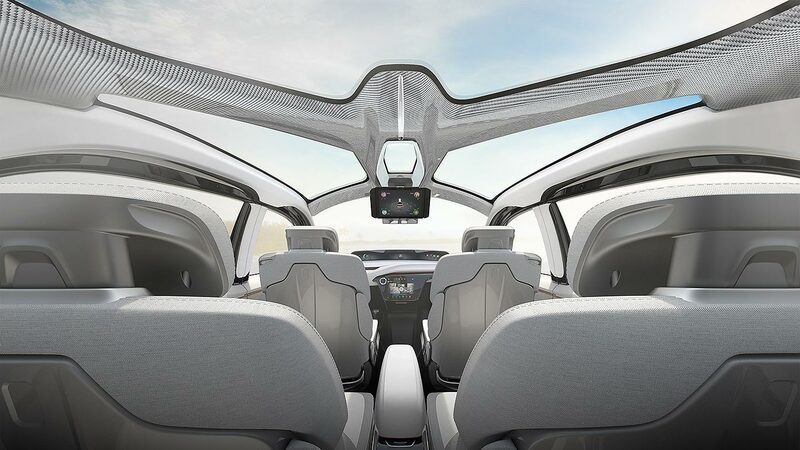 Concept-i previews a ‘friendly’ car of the future that’s focused on you, apparently. 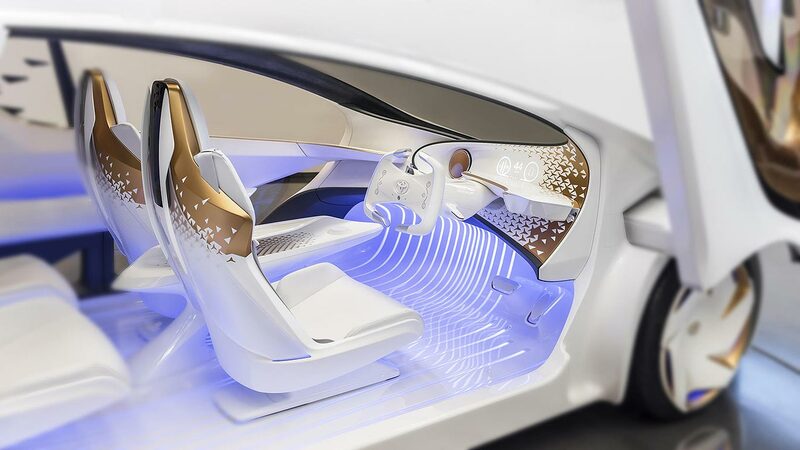 Far from being autonomous robots, the cars of the future are going to be more engaging than ever – and it’s advanced artificial intelligence systems that will be key here. Concept-i has an AI Agent called Yui. They live in the centre of the dash and, rather than touch screens, help communicate with the driver, anticipate what they want and follow their commands: think Cortana for cars. Like the outside, it’s swoopy and cheery inside, shaped to help Yui use light, sound and touch to communicate with the occupants. What a happy car it is! We love this. 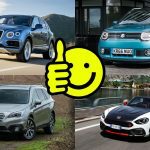 How to make travel in that ‘final mile’ between parking your car and reaching your destination easier? 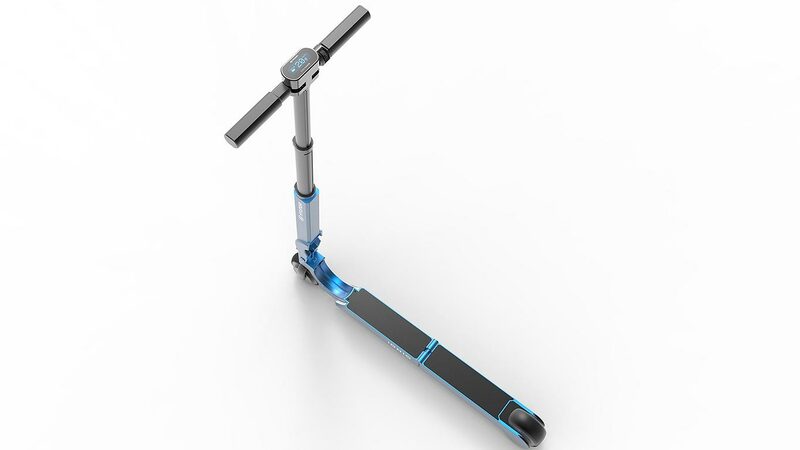 The Hyundai Ioniq scooter! It’s electrically-powered, can be unfolded with one hand and has lights front and rear. Accelerate or brake using a thumb-switch scroller. Where does it live? In the door of an Ioniq Electric, where it’s charged as you drive. We want one already.